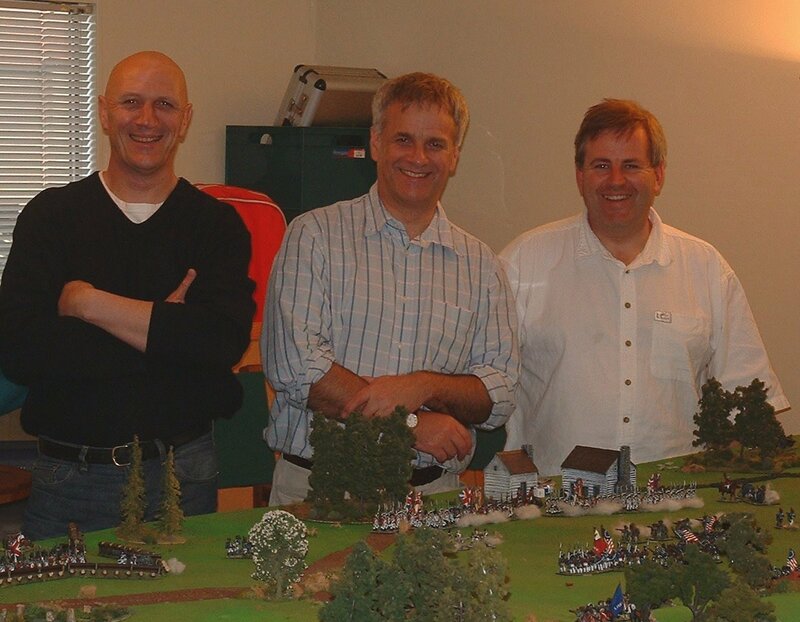 The following article on terrain cloths first appeared in 2005 on the site I used to maintain for the Kapiti Fusiliers Historic Gaming Club, our very loosely-formed gaming group. That website (and the ‘club’ itself) has now long gone, but I do still have it on my hard drive. 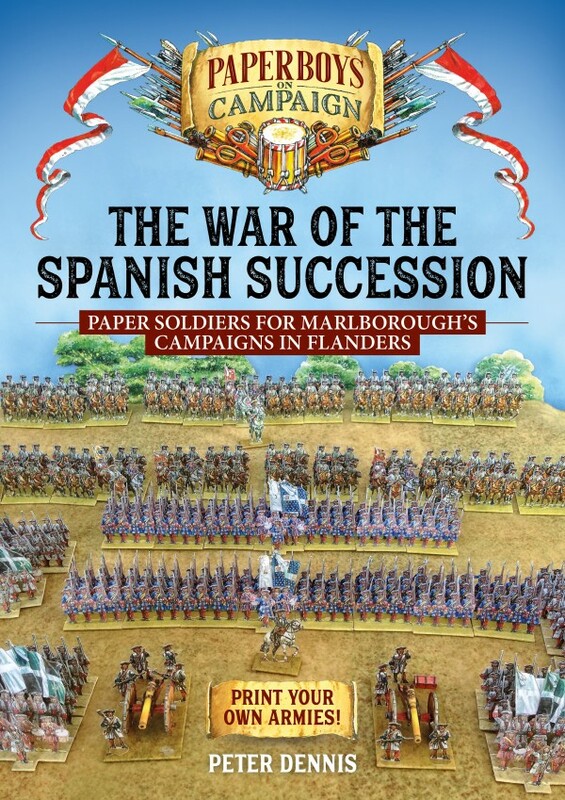 So I intend to occasionally re-post some of the more popular articles here on my blog. 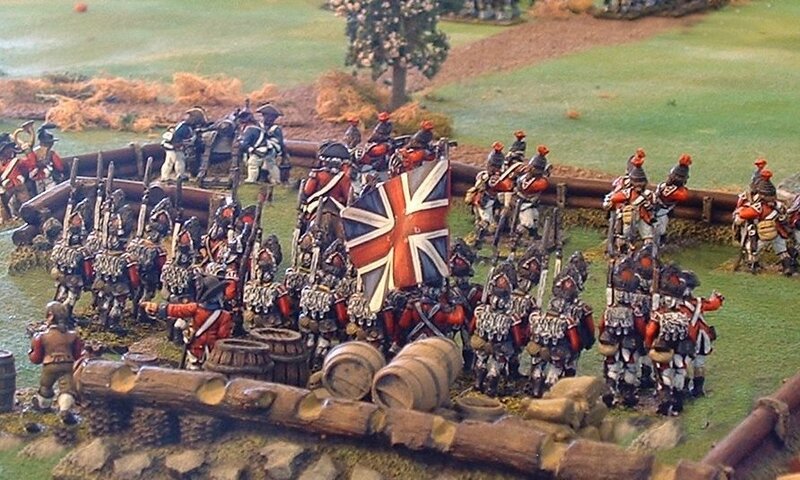 This particular article on terrain cloths was often the subject of links from discussions on various wargaming forums, so obviously grabbed the interest of gamers. So, here it is again, eight years later. Enjoy! 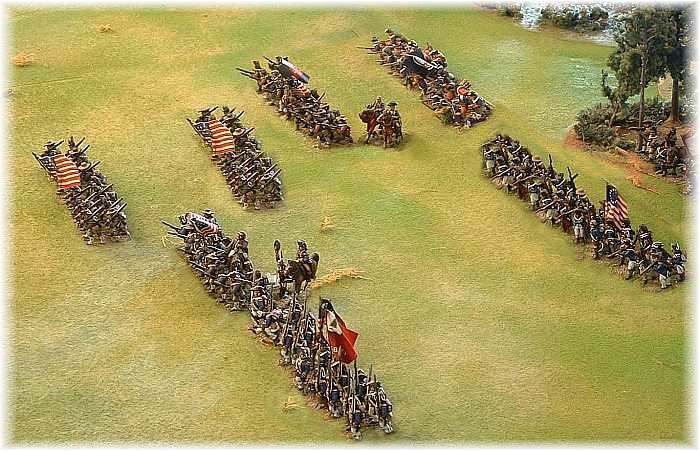 When you look at a display game, what is the first thing that you see? 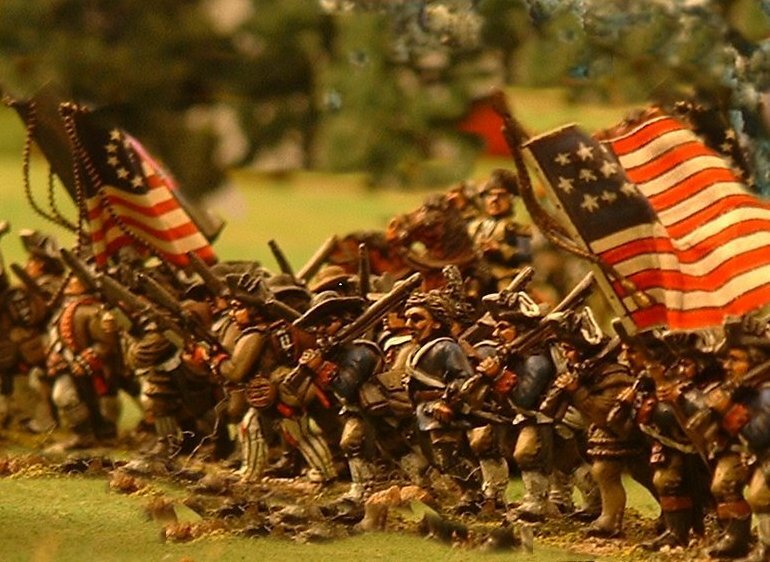 Is it the beautifully painted figures? Their colourful flags? The realistically flocked bases? The exquisite buildings and trees? No, most likely the first thing that hits your eye is the “ground” itself – after all, it is by far the part of the game that has the biggest surface area to catch your attention. If the first impression of the ground is a good one, then you start homing in on the details, such as the figures and terrain. 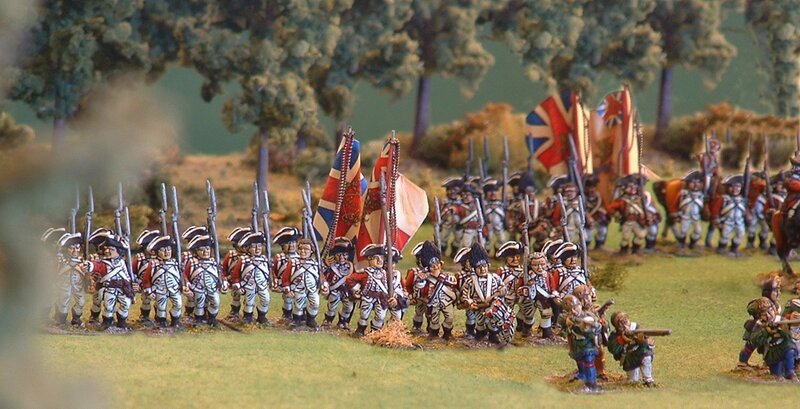 But how often have you seen games marred by poor ground effects: a garishly coloured cloth, for instance, ill-fitting terrain squares, or maybe unrealistic stepped hills? But making a realistic ground effect needn’t be an expensive or complicated business. 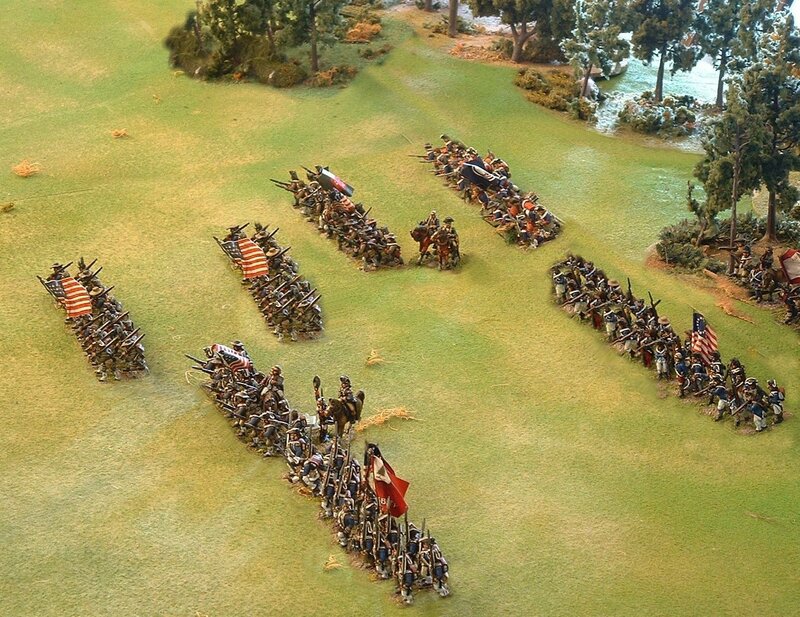 Paul Crouch, a member of the Kapiti Fusiliers, has put on several demonstration games in the past which have caused a lot of complimentary comments for their realism, but which use an incredibly simple system to attain those magic effects. Firstly, Paul arranges a few objects around the table which establish where he wants the ground to rise. 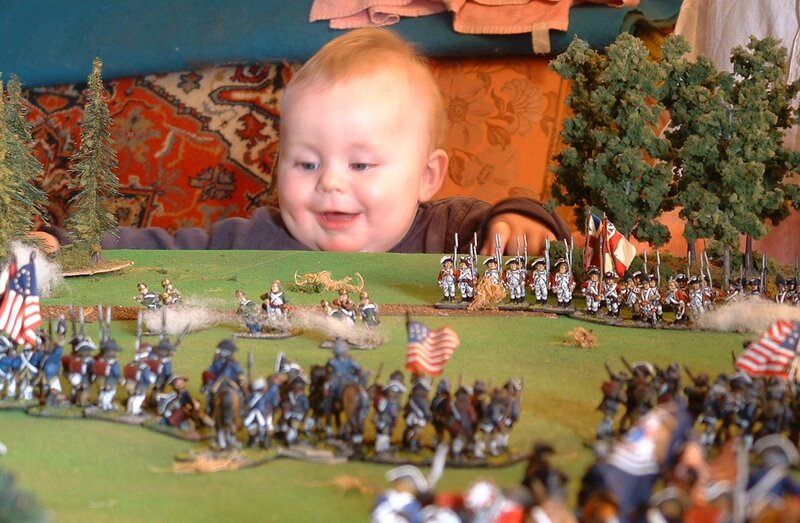 Nothing too difficult here – anyone who has ever used a basecloth for a game (which is most of us!) will be familiar with this step. Now comes the magic part. 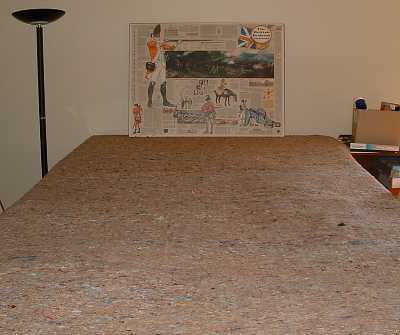 Before draping the table and objects with the basecloth, Paul first covers it with a large piece of carpet underfelt. 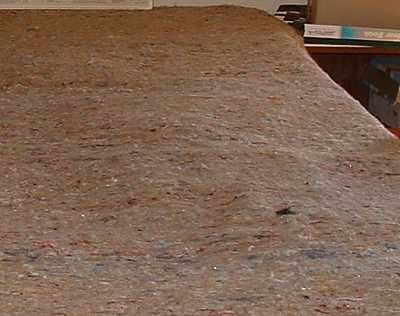 This is a very heavy pressed fibre material, that in the carpet industry has now been mainly replaced by waffle rubber and recycled polyurethane foam chip underlays. But you want the old-fashioned thick underfelt without a rubberized backing, which looks like it is made of pressed wool fibres. 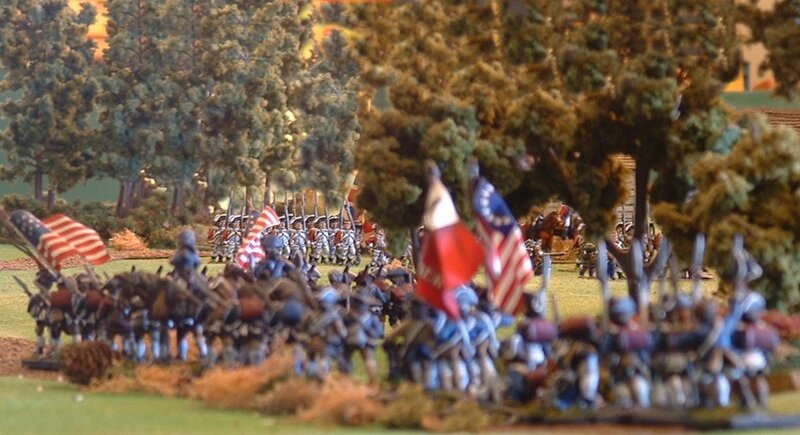 When this is draped over the objects, its heavy weight means it conforms to the objects underneath without creasing, making nicely-shaped gentle slopes which will carry model soldiers without sagging. The basecloth is now draped straight over the underfelt. 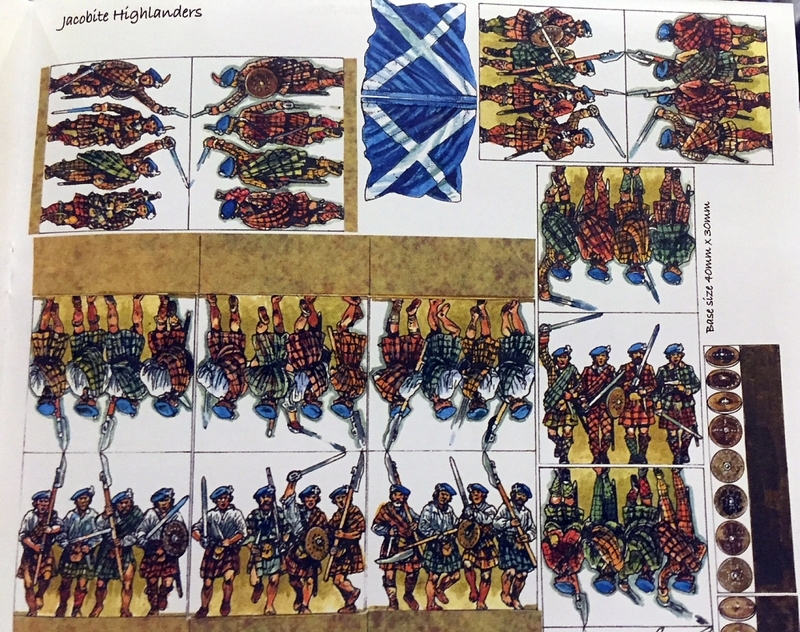 In Paul’s case, this is a very old baize cloth (in fact, it was a bequest to him from an old wargaming friend who had it for many years himself before passing away). The baize in question is called “card table baize”, a much lighter material than billiard table baize (much lighter in cost too). Baize, by the way, is the name of an often bright-green cotton or woollen material napped to imitate felt and used chiefly as a cover for pool, billiards and card tables. The secret here is what has been done to the original colour of the cloth.. Paul’s cloth has received many light coats of various coloured spray-paints, such as light greens, tans, and even very yellowy-greens. This gives it a patchy mottled look, rather than a single hue. There is particular skill to spraying the cloth, otherwise it can become blotchy and look like a rather poor camouflage paint scheme. The art is to spray from a good distance away (300-500mm) so that you achieve a feathered edge. Start with a mid-brown first, then a forest green, followed by a bright green and finally with bright yellow as a highlight. The final effect is impressive and even more so when used in conjunction with the carpet underfelt that softens the contours and prevents the baize from moving. The overall effect is a lot lighter and more vivid a green than one would expect. 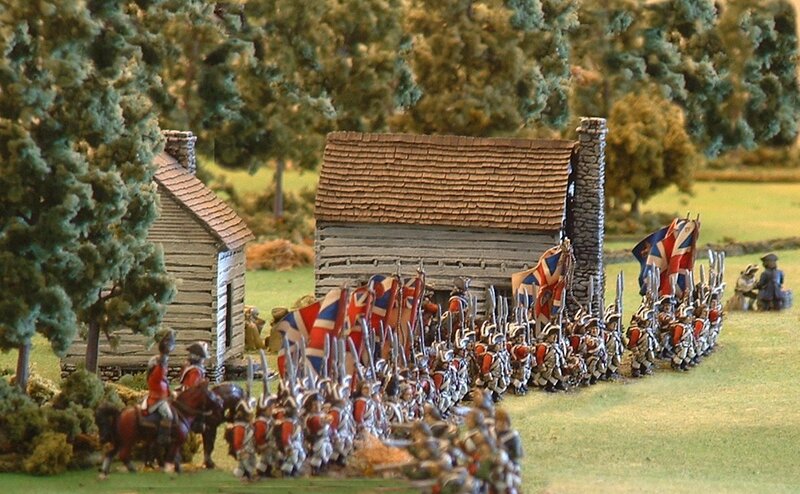 But when you see aerial photographs, you’ll note that grass is a much lighter green than the dark pool-table cloths we see so many wargamers use. 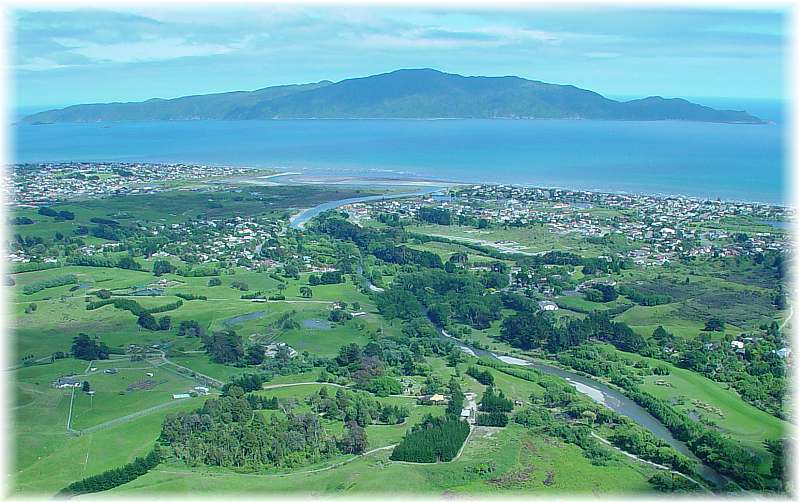 Here’s a photo of the Kapiti Coast in New Zealand, home of the Kapiti Fusiliers, for instance – look at the colour of the grass. A final touch is to add some more texture to the cloth by lightly sprinkling some old flock and small pieces of lichen around the table. 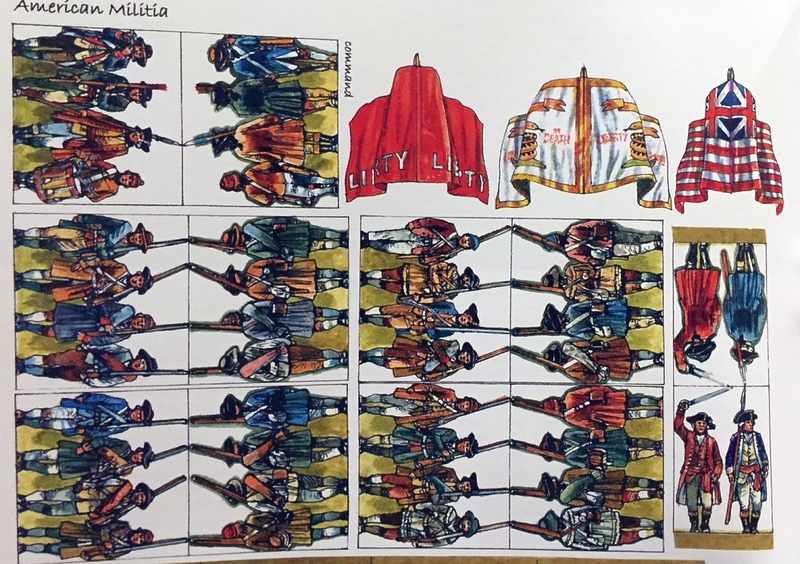 In fact, these need not be collected at the end of the game – just fold them carefully into the cloth, and they’ll be mixed up even more for the next game. 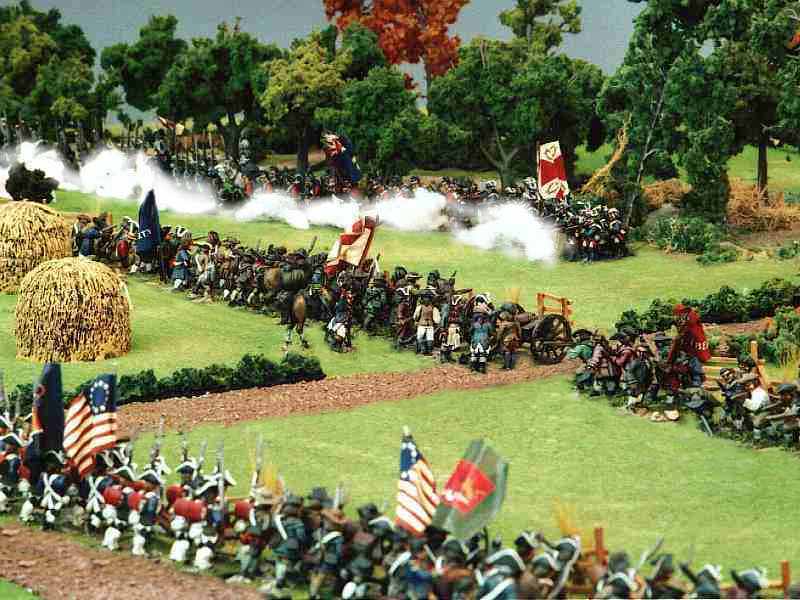 Now your table is ready for the addition of scenery items (another hint: don’t skimp on the trees – the bigger your trees, the better the scenery will look), buildings, and troops. The disadvantages of this system are that you cannot recreate really rugged scenery this way; roads and rivers are merely placed on the table rather than carved in; and delineation of where a hill’s slopes start and stop is not definite. 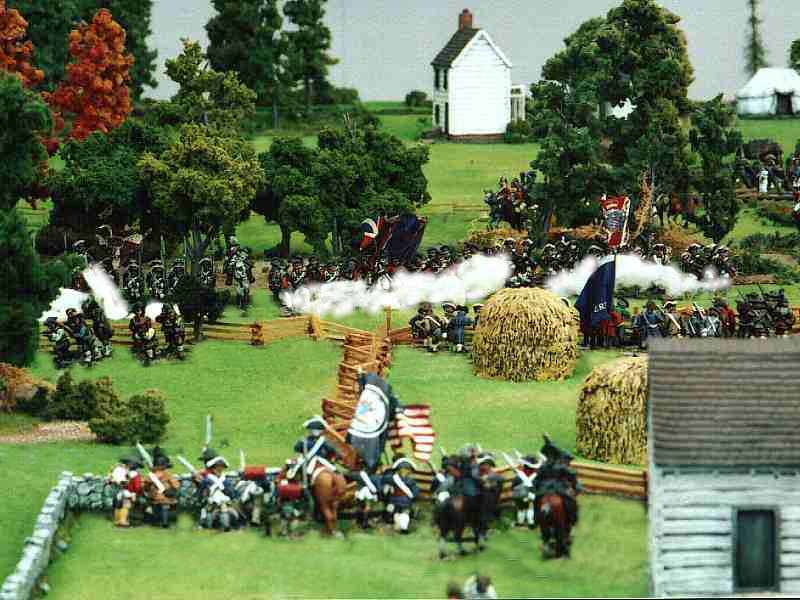 But, notwithstanding those slight disadvantages, the good points of this system are: it is quick and easy (once you have spray-painted the cloth); very flexible; holds miniature soldiers well; realistic for creating rolling country; and – best of all – is guaranteed to make your game-play more enjoyable as you feast your eyes on that fantastic-looking landscape! 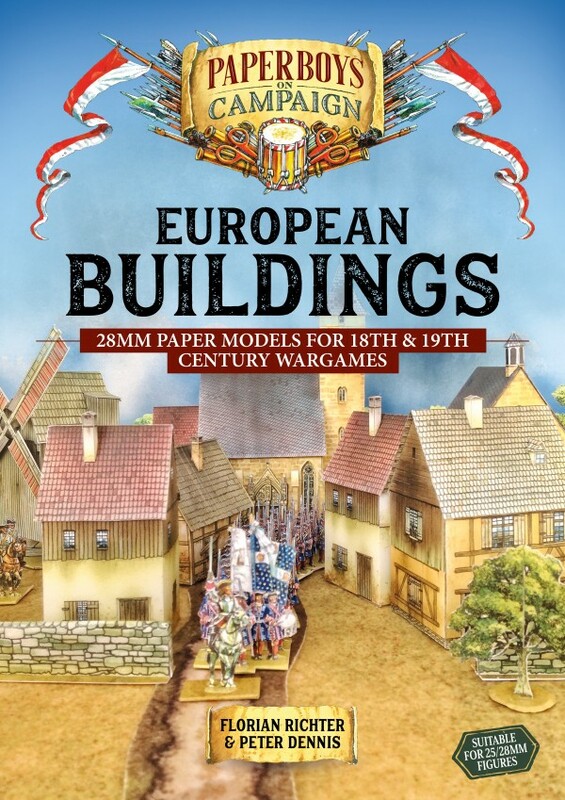 This is your chance to buy a couple of absolutely exquisite and renowned 28mm AWI armies. 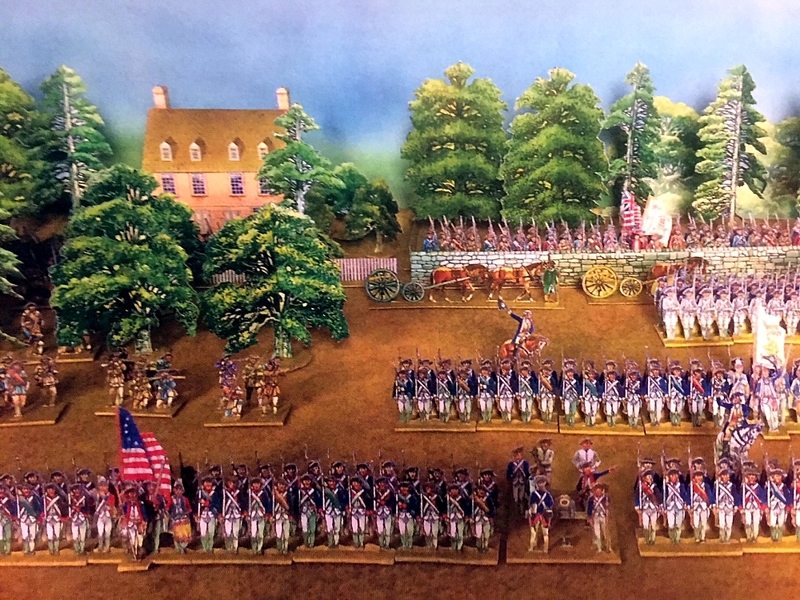 While I don’t have any armies from the American War of Independence (or American Revolution, if you will) in my collection, it is a period I have always found very colourful and fascinating. 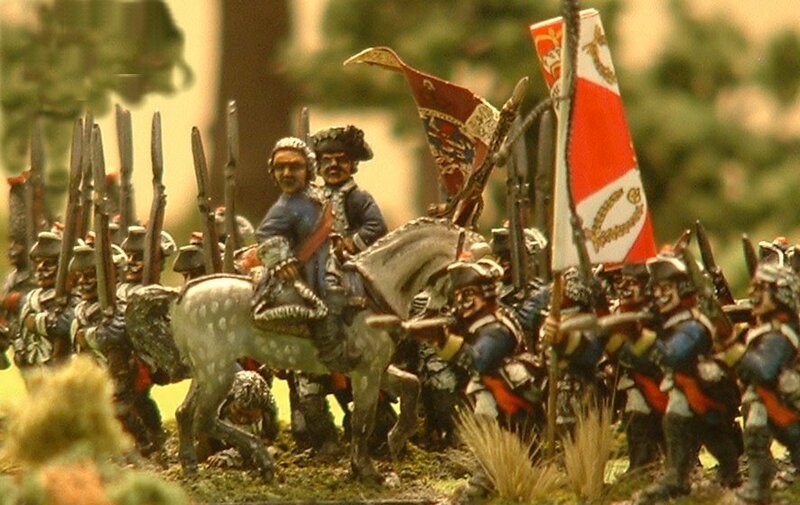 It was seeing Fusilier Paul Crouch’s wonderful AWI armies that got me back into the hobby about a decade ago. 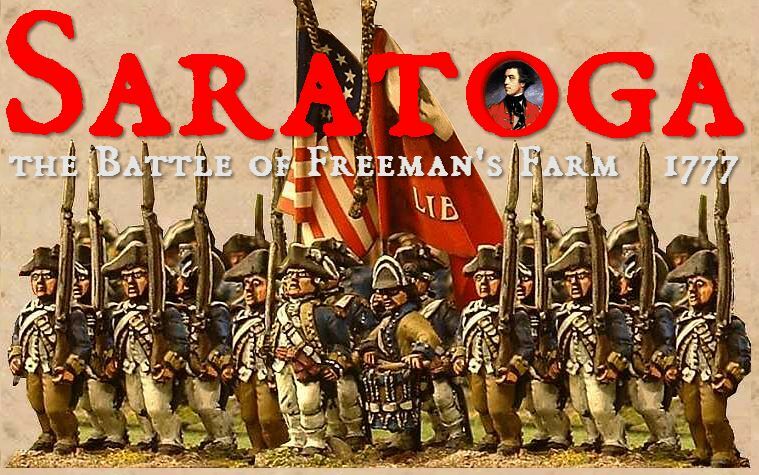 I was also fortunate enough to take part on a couple of iconic AWI games here in Wellington a few years ago – the battles of Guilford Courthouse and Saratoga/Freemans Farm (click on the links – they’re worth it, I promise!). 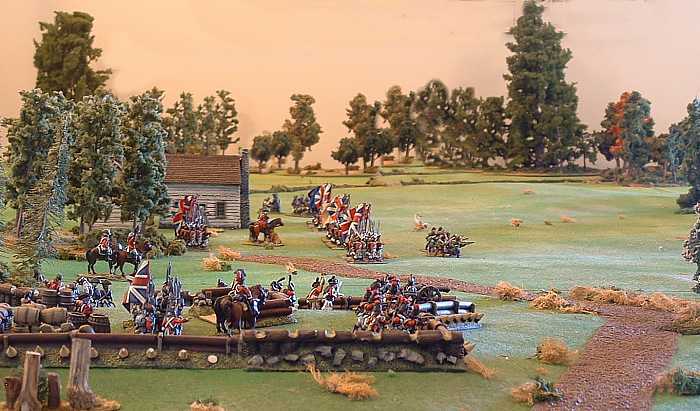 These beautifully presented battlegames, again using Fusilier Paul’s marvellous figures, are still talked about in almost hushed terms here in New Zealand! So whenever I’m in a secondhand bookshop, American history is one of the shelves I always browse in. And recently I’ve come up trumps … twice. 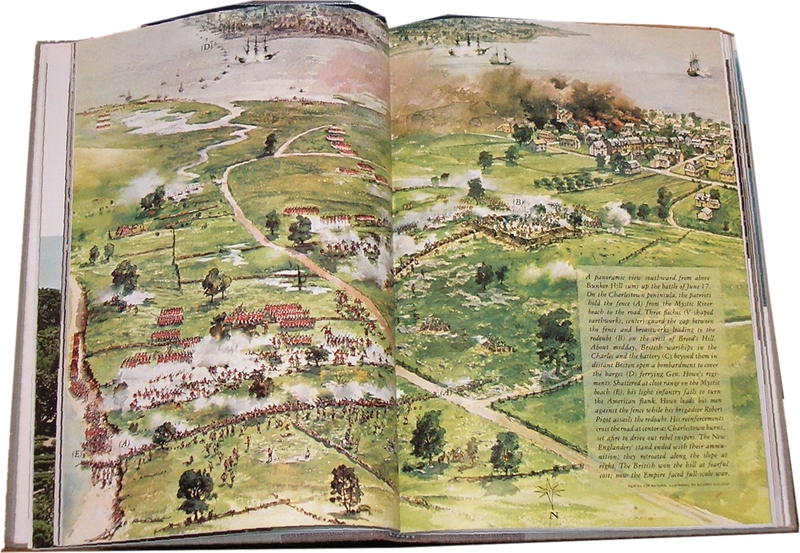 I’m a very visual person, so books of dense historical writing just don’t do it or me. I want beautiful, inspiring pictures and a lively text. So I was very excited when I found an old out-of-print AWI book that I had never heard of before, choc-a-bloc full of illustrations. I nearly missed it too, as it had lost its dustcover and was sitting forlorn and lost amongst its much brighter-covered companions! 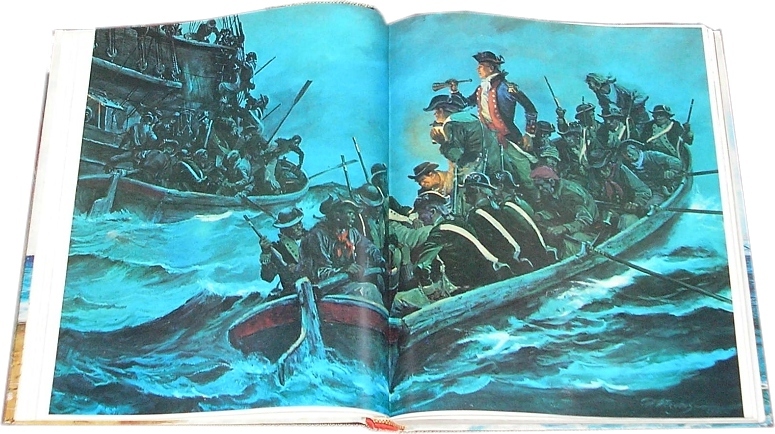 Cover of 'The Revolutionary War' by Bart McDowell, published by the National Geographic Society in 1967. I suppose the original had a dust jacket, but my second-hand copy unfortunately didn't. 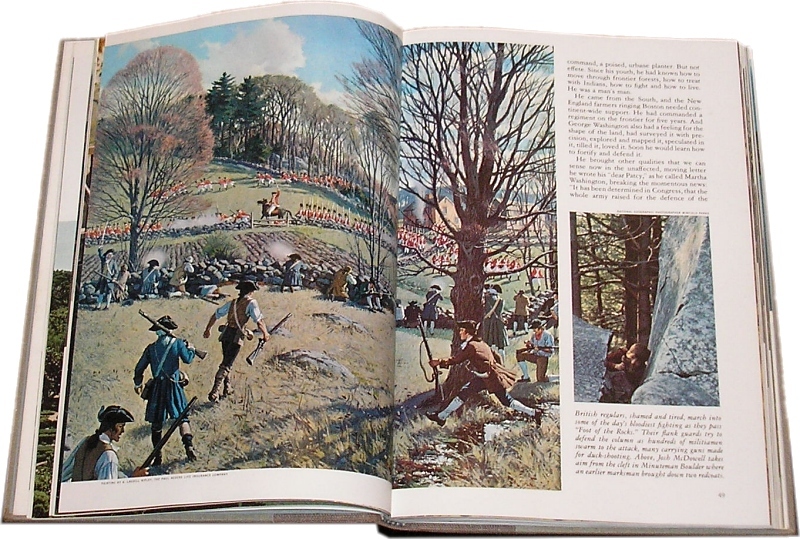 The Revolutionary War by Bart McDowell was published way back in 1967, even before the bicentennial. It is a National Geographic publication, so the style will be quite familiar, with the use of many full-colour pictures to illustrate the engaging text. McDowell’s chronological history has an interesting slant, as interspersed through the text are descriptions of taking his family to all the places described in the story. He uses first person language for what his children say, giving the opportunity for some intriguing questions and comments that normally wouldn’t come out of the mouths of adults. His wife and children were apparently very happy to be immersed in the history of the war – one wonders if they are still AWI buffs now, over 40 years later?! Written in 1967, the book is a little (did I say a little?) jingoistic. But that makes it all the more entertaining, as it authentically reflects the views of that time. 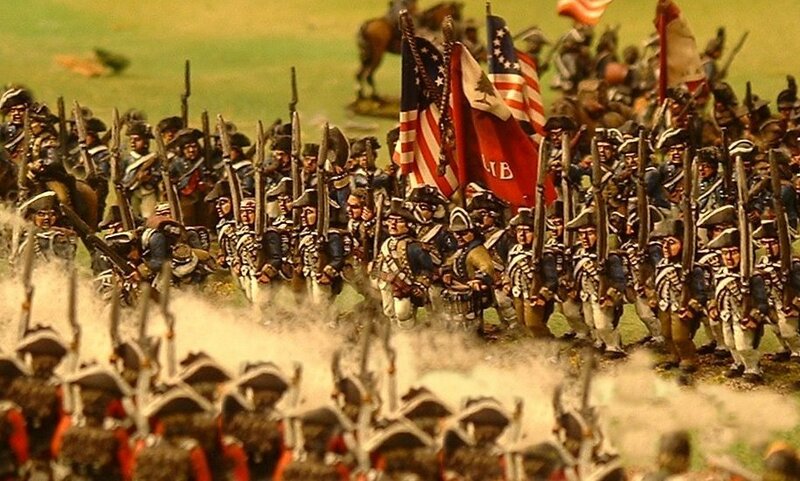 So far as accuracy goes, it will of course be very dated and won’t reflect modern findings (for example, was Colonel Banastre Tarleton as bad as he was painted to be?). 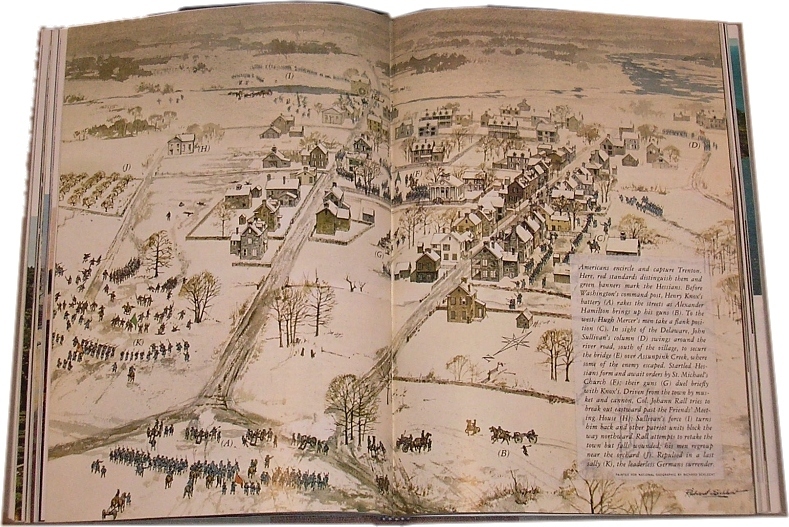 As mentioned, the book is lavishly illustrated. 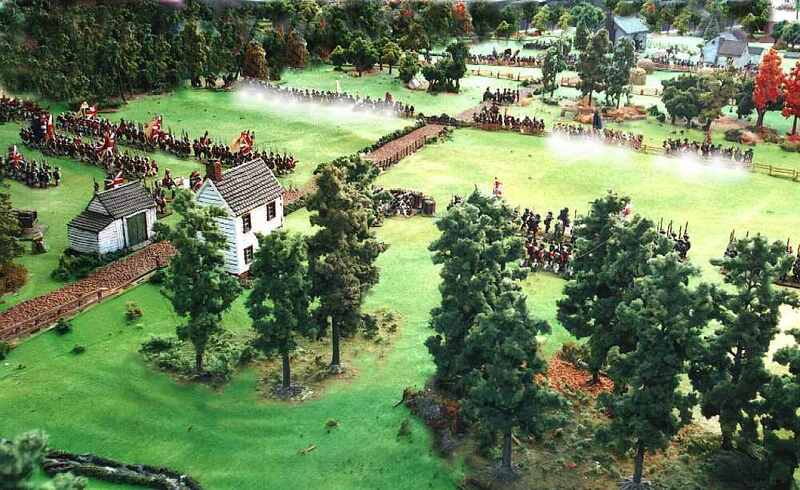 Take this wonderful painting of the ‘Battle Road’, the march of the British back to Boston after the first shots of the war at Lexington (click picture to enlarge). 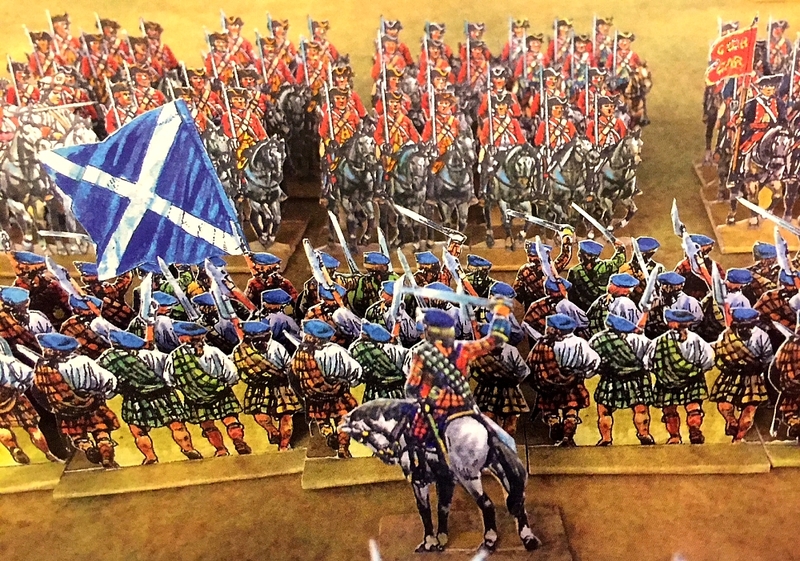 The small picture on the right is the author’s small son between two rocks that were really used as cover during this battle. 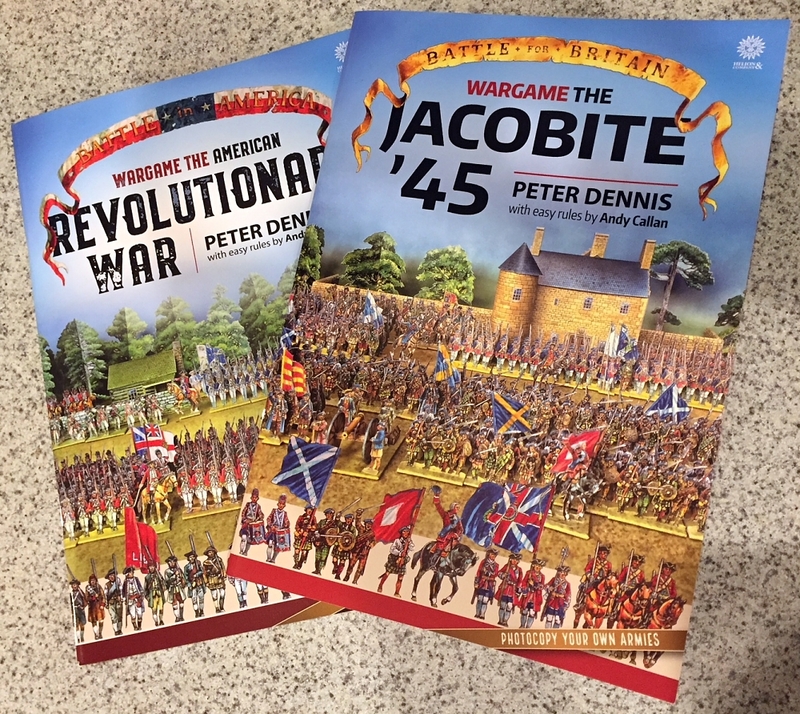 The Revolutionary War, of course, is no longer available from normal bookshops. However, at the time of writing, I have seen it listed in several places on the internet for only a few dollars. If you’re an AWI fan, google it and get it … you won’t be disappointed! The other book I stumbled across is also filled with lavish illustrations. 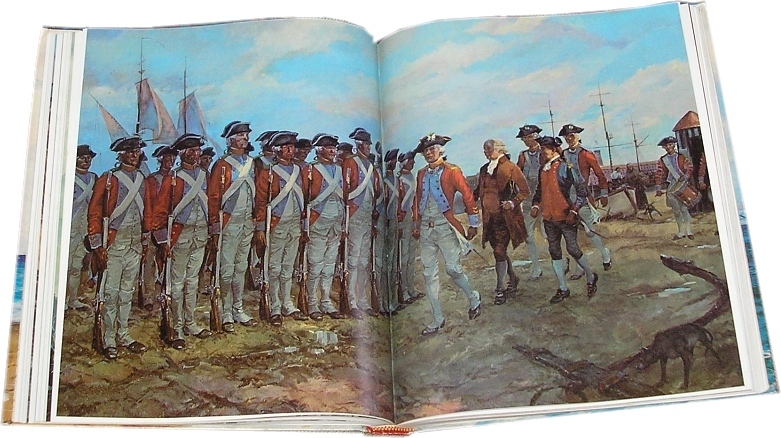 Marines in the Revolution by Charles R Smith, as the title implies, describes the history of the US Marines (and their antecedents) during the American War of Independence. 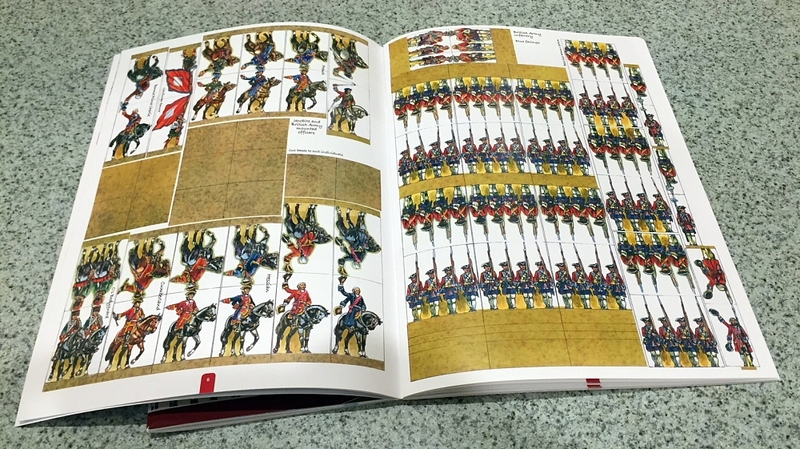 This is a massive hardcover book (no dust cover again, but this time a painting is printed on the cover). 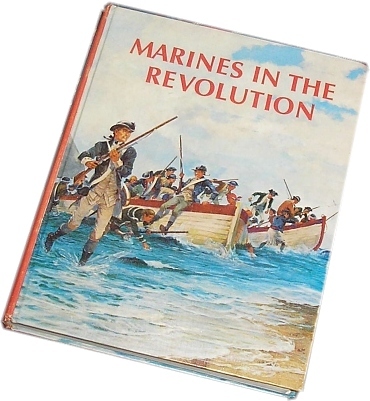 Front cover of 'Marines in the Revolution' by Charles R Smith, published by History and Museums Division, Headquarters US Marine Corps, 1975. The text is a lot more detailed than the previous book I reviewed. 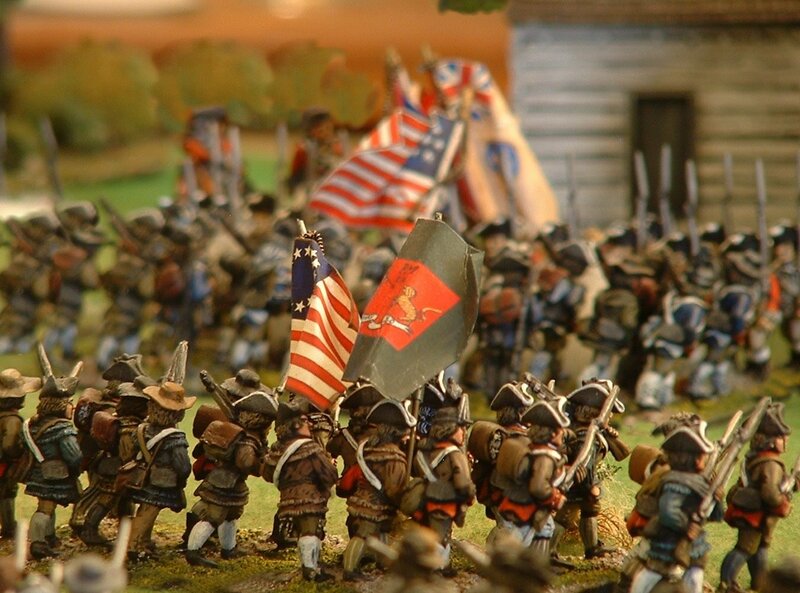 It covers pretty well every action, large and small, that the marines were involved in, both at sea and on land. 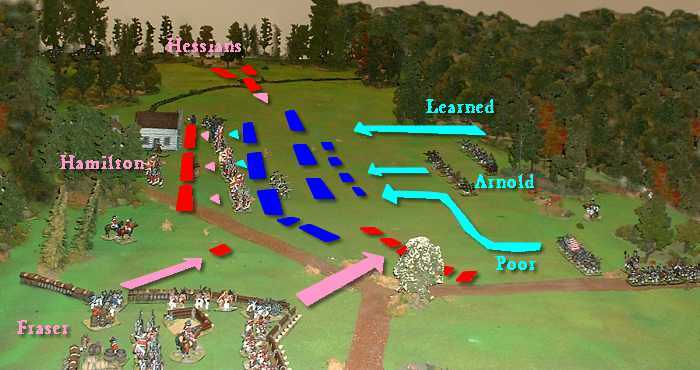 The wargaming potential, of course, is huge, especially for skirmish games. 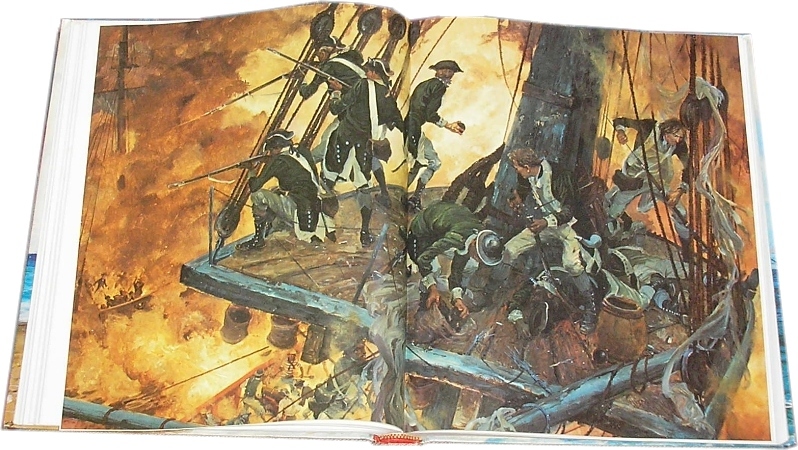 This painting shows John Paul Jones’ marines being reviewed at L’Orient by John Adams on 13 May 1779. 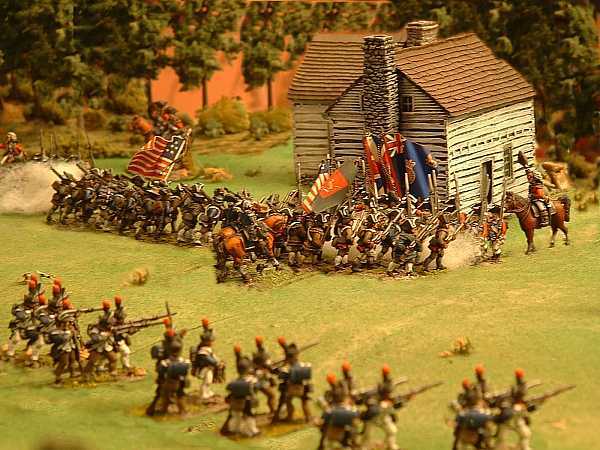 The marines on the Bonhomme Richard were a contingent from the French Regiment de Walsh, a red-coated former Irish regiment in the French service (click picture to enlarge). Finally, here is an unusual view of the fighting top on the Continental frigate Alliance during its battle with the sloops-of-war Atlanta and Trepassy on 29 May 1781 (click picture to enlarge). Dramatic stuff! Again, look out for this book on Google.